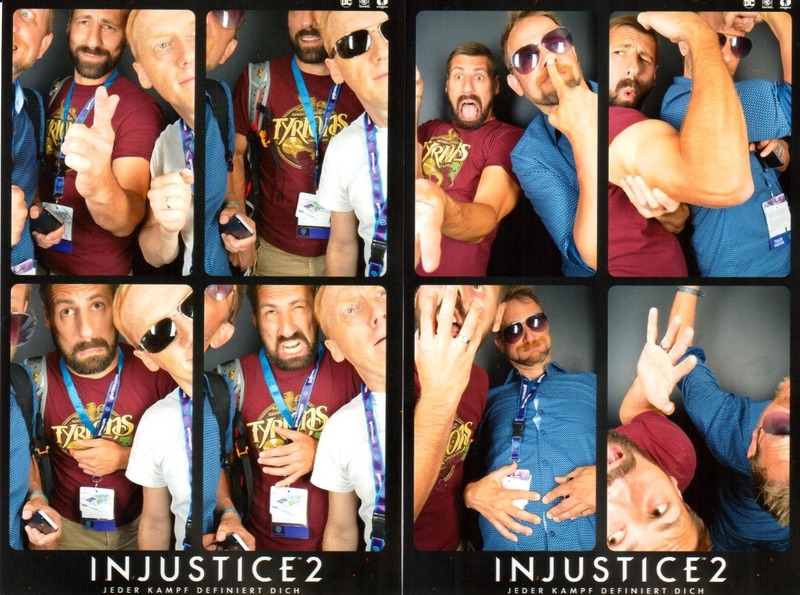 while the world’s largest gaming event is still in full play, we are already back from gamescom and want to share our impressions with you! We have played quite some games and met some nice people while also showcasing Bloo Kid 2 at the amazon appshop booth. The first game we played was HUNTDOWN, a VERY classic 16-bit run and gun action game set in a dystopic future where gangs are ruling the streets. Be sure to keep an eye on this game! It even features a local 2-player coop mode, very much like Hurrican. In fact, one of the developers even knew about Hurrican. Small world! We also sat down and enjoyed another great two-player coop shooting session, this time with the bioshock-flavored chaos-engine-esque “Tower 57” from pixelwerk. Last but not least, we played a session of Strikers Edge, a fast-paced versus combat game where you play as an ancient warrior. It was kind of an aggressive version (in a positive way xD) of Windjammers and that knife-throwing part of “Beach Head 2” on the C64. 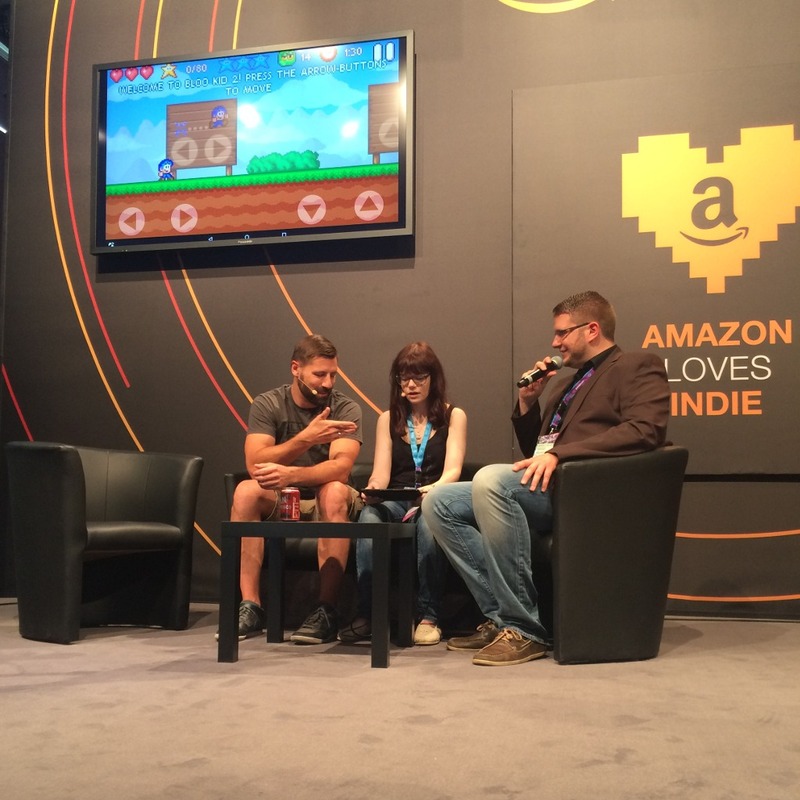 We were invited by the great people at amazon to present Bloo Kid 2 to the crowd at amazon’s appshop booth. Many thanks again to Carlos Lievano from the amazon team for making this possible! We met german youtuber Honeyball who was a charming host for the show. Thanks for making my stage apperarance as comfortable as possible! please notice this extremely expressive, yet gentle explaining gesture that I have practiced especially for this event! Be sure to stop by and watch the amazon gamescom livestream. 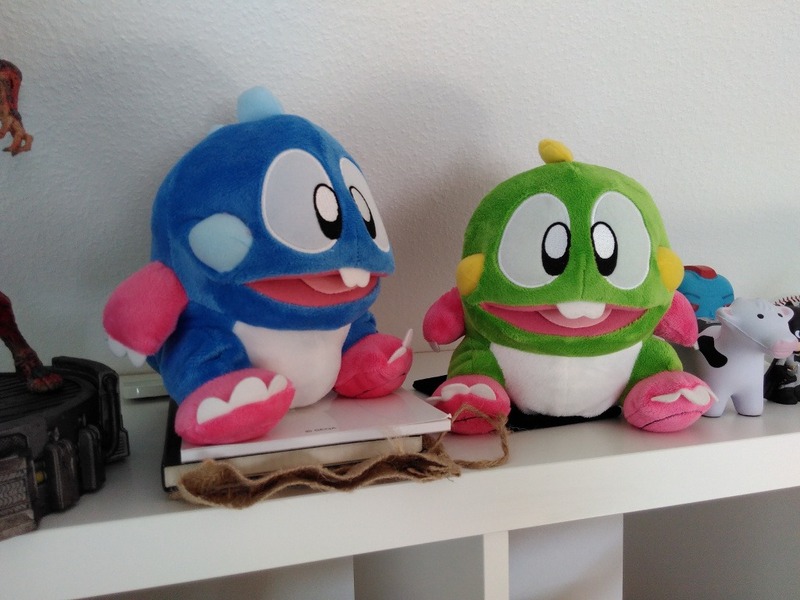 And while the world is chasing Pokémon, we caught some other cute monsters from our past! to say it in the words of John Romero himself: I’m always looking nutty in pics – cause i’m nutty!